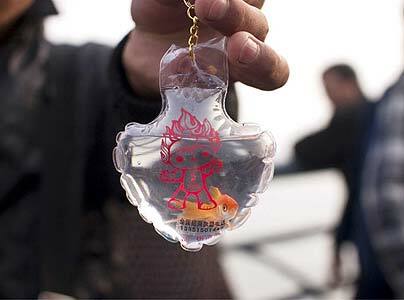 In a similar bit of news to my earlier post on the Chinese fish necklaces, traders in Qingdao have also begun selling live fish inside keychains. Qingdao is the site for the Olympic sailing events for the Beijing 2008 games. On the front of the keychain itself is an unofficial copy of an Olympic mascot. China nor the IOC condones this product. Unlike the teen fashion necklaces, these keychains do not offer the fish any food or oxygen. The plastic keychains are sealed so the fish only survive a few hours. Mislabled Sushi: That’s not tuna!